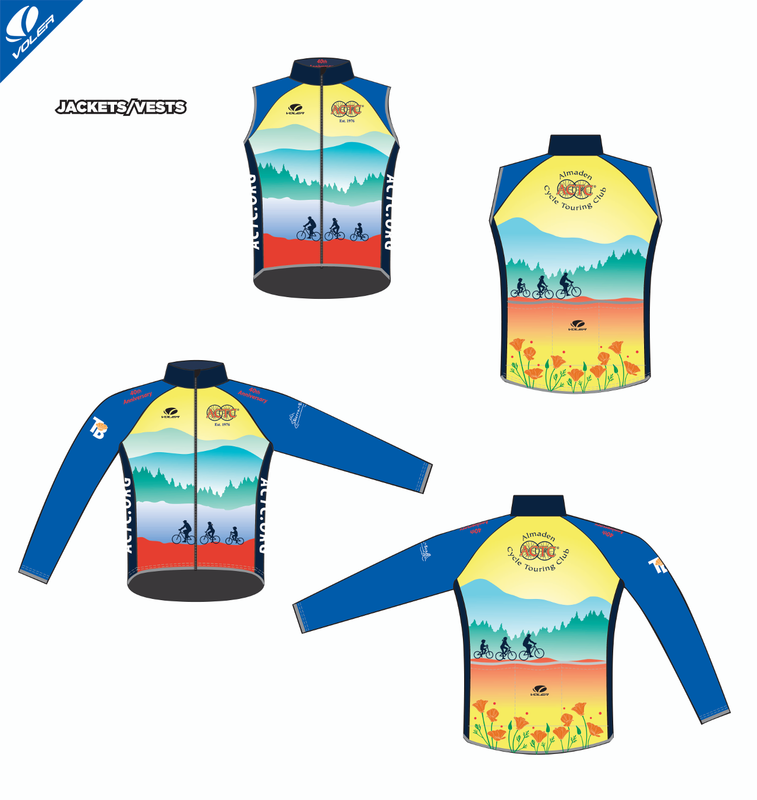 Almaden Cycle Touring Club is using the Voler Custom Online Order System for collecting and processing your cycling apparel order. Please follow the steps below to place your individual order for inclusion in the overall team order. 2. Click on “LOGIN” to enter your Login/Billing Info. If a new customer, click on “Create Account” to save the information and to create your new User ID and Password. You will automatically be directed to the home page for your team order. If you are a returning customer, please use your original Login and Password. 4. After placing the last item you want to order in your shopping cart, click on “View Your Bag” to display the items. Carefully review the items and make any necessary modifications or deletions. After you have confirmed your order is correct, click on “Proceed to Checkout” to complete the secure checkout process by entering your credit card payment information. 5. Because each item is custom built, refunds and exchanges will not be accepted. There is a 1 year manufacturer’s warranty period. 6. After you have completed the secure checkout process, an Order Confirmation will automatically be displayed and e-mailed to you for your records. 7. After the order deadline date has passed, you will no longer be able to access the order site. If you have not completed the checkout process for your order by this date, any items in your cart will be removed. The Order Deadline and the Order Ship Date are displayed on the order homepage. The Ship Date is the date that your order will be shipped from Voler. Note: fulfillment and shipping of orders depend on meeting a minimum quantity during each open order period. If not met, you have the option to roll into next ordering period or cancel it for refund if you choose not to wait. Thank you for your order. If you have any questions, please call 800-488-6537 and ask for assistance from a Voler Customer Service Representative, or send us an email at sales@voler.com. Voler short sleeve jerseys are available in AMP fabric (Tour) and Genesis fabric (Race) in raglan sleeves with sizes XS – 3XL. Each offers various options: ¾ hidden zipper/Full zipper ; race cut/club cut; men/women. They can be purchased via Voler Custom On Line Order System at Club special pricing:AMP $50/ea. Genesis $55/ea. (Full Zipper +$2) plus shipping charge by Voler. 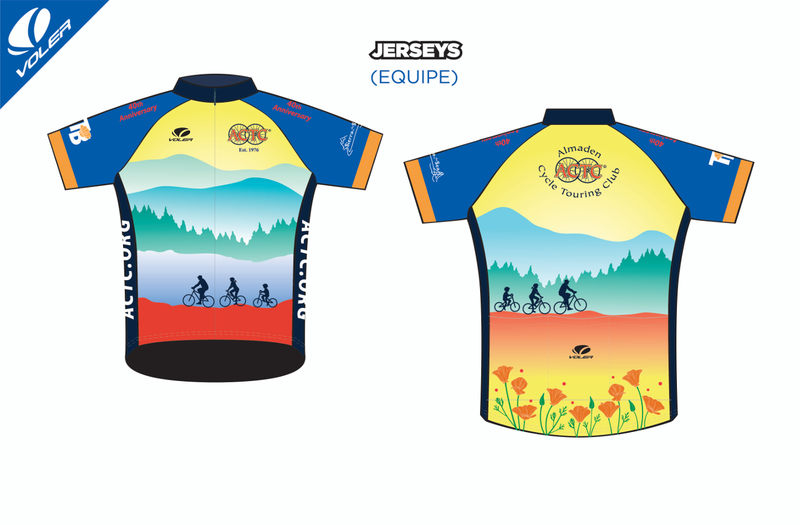 As jerseys are custom made to each order by Voler, all sales Final, be sure to correctly specify your selections. Jersey sizing charts can be viewed on Voler website bottom under Help Center. A long sleeve jersey well suited for inclement weather. It is available for men form and women form, Full zipper with fabric selections- Lightweight Genesis or thermal GeoTherm to best suit riding conditions. Full details and images for each selection can be viewed during the ordering process. The graphics on the jersey is identical to the jacket. See images below. The tight weave of Vortex Ripstop provides excellent wind protection and water resistant. Both are light weight and easily stowable in jersey pocket for Race and Tour. Fitted Wind Shell Jacket/Vest are available XS -3XL, men/women at Club special pricing: Jacket $55/ea. Vest $50/ea. plus Voler shipping charge. Denali LT delivers warmth while remaining breathable and wicking moisture away from the body, suited for Race and Tour. Three exterior pockets for added storage. Fitted Thermal Jacket/Vest are available XS -3XL, men/women at Club special pricing: Jacket $99/ea. Vest $89/ea. plus Voler shipping charge. WoolEator is merino wool version AirEator sock in charcoal color; machine washable, four season multi-sport sock providing more insulation. 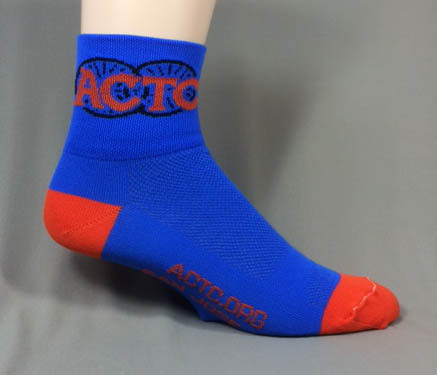 Composition: 61% USA wool, 37%nylon,2% Lycra Club Special pricing: $10/pair All socks are unisex fit sizing S – XL. Contact the ACTC Clothier for sizing chart, purchase and payment. Various Club clothing and accessories are available on-going for sale pending items remained in stock. 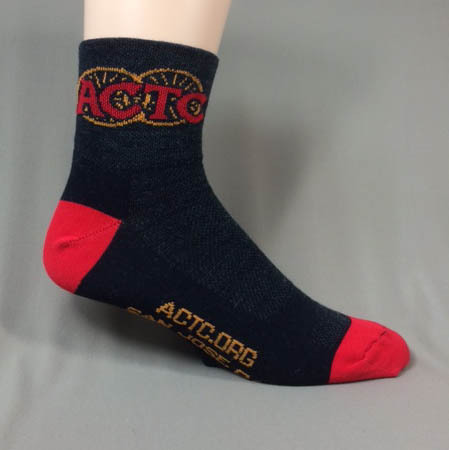 Contact the ACTC Clothier for requests or questions. Suggestions or comments? Contact the ACTC WebMaster.